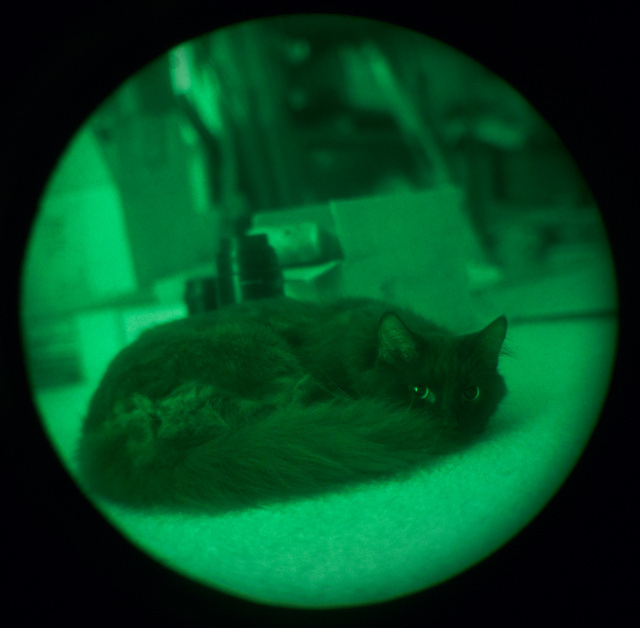 This entry was posted in beast, camera and lens, pet and tagged ATN, cat, Gremlin, monocular, night vision, NVG, PVS14. Bookmark the permalink. Oh, that’s just too cute. It’s my new wallpaper. Just what I need for deer hunting. Gremlin has such a “do you mind?” look on his face.